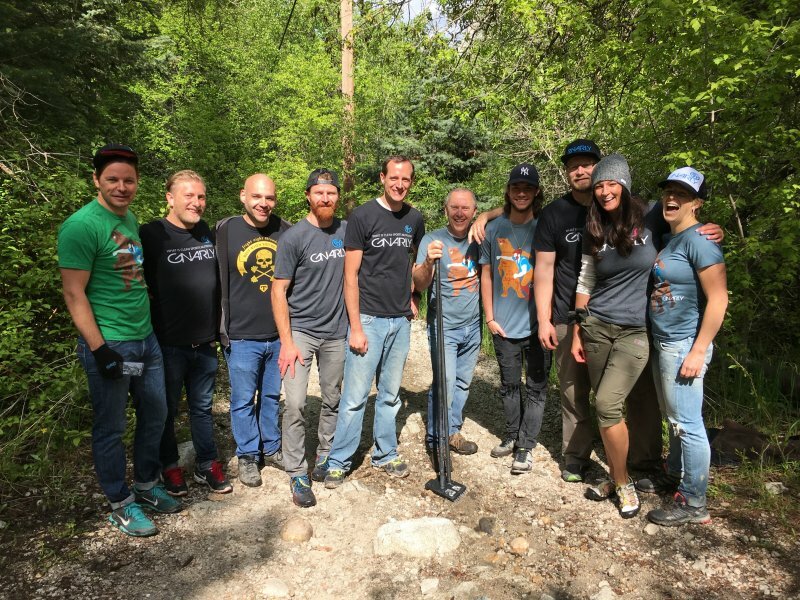 Pictured above: The Gnarly Nutrition team in Little Cottonwood Canyon participating in a graffiti cleanup with Salt Lake Climbers Alliance. Eli Kerr started Gnarly Nutrition for one reason: to make quality natural sports nutrition products that people actually want to eat. Five years ago he set out to do just that, and today Gnarly is an authentic, inspirational, and national brand with a full line of products that help people push boundaries, accomplish goals, and reach their potential. The company’s slogan is Find Your Gnarly, which is to experience the process of becoming more through a commitment to discover what you’re capable of. But this isn’t so much a tagline as a way of life for the Gnarly team. Eli believes that authenticity builds brands—if his team makes a mistake, they own it, correct it, and seek to be more deliberate moving forward. While Eli and his partners have bootstrapped and been very careful about their growth and expenses along the way, like many product-driven small businesses, cash flow has always been an issue. “The list of challenges we have experienced is exhausting,” shares Eli, who adds that financial challenges have always been at the core of the business’s struggles. Eli’s advice for fellow small business owners? Be persistent, but be careful. Sometimes you’ll be so passionate about an idea you’ll try to convince everyone it’s right when it’s not a good fit for your business. When you hit a barrier as a business owner, get back in the saddle and keep trying. While the entrepreneurial journey may not be the easiest, with persistence it will pay off. Utah is tied with California at No. 1 on Lendio’s 2018 Top 10 Best States for Small Business Lending. Learn more about why the Beehive and Golden States are such thriving hubs for small business.